Entering to win our gift card couldn’t be easier! Just complete the Rafflecopter code that you see below, and you’re all set! Best of all, there are bonus entries for sharing the contest each day, so have at it! Please check out all of those great sites and see what they have to offer for you! We all share one passion — our love of Disney, and our passion to share it with all of you, so enjoy the contest, have fun, share it with your friends, and most of all — think about what you will do if you win! Let me know in the comments, and thanks for stopping by My Dreams of Disney! If you are interested in taking a Disney vacation, I can help! I’m a travel agent with Pixie Vacations, just click on this link and it will take you to our quote request form where you can request a free, no obligation quote! My best memory was when we were watching the fireworks and my young son said “I will never forget this”. It made me cry. My favorite memory was picking up our children from school and driving to Orlando from PA. The look on my children’s face as we approached the Welcome To The Happiest Place On Earth Sign was priceless and forever etched in my mind and in my heart. As we walked up Main Street their eyes where as big as saucers…. It took us awhile to save up for this first trip but I would give anything to relive those precious memories again! We are taking our children for the first time in Oct. My dad will be 4 1/2…son will be 17 months. My daughter thinks we have to take daddy to the airport for a business trip…little does she know! I can’t wait to make memories like yours! We are taking our children for the first time in Oct. My dd will be 4 1/2…ds will be 17 months. My daughter thinks we have to take daddy to the airport for a business trip…little does she know! I can’t wait to make memories like yours! My favorite memory was when I was really in a grumpy mood when I was 5…snow white came over and surprised me with an ice cream…she told me princesses never frown…that was 31 years ago. My favorite memory was going to WDW in February of this year with my best friend. I went to WDW when I was 3 and this was (FINALLY) my second trip back….I ran the Disney Princess half marathon-my first half!! I not only conquered 13.1 miles, but did it in the Happiest Place on Earth! Running through the castle brought tears to my eyes!! I would love to go back again soon….my friend and I talk about planning another trip…and hopefully around another race!! My favorite magical memory is having a magical time at the parks. My favorite magical memory is of our very first trip to WDW in 1989. Nothing could be more magical. My favorite magical memory is that of my daughter’s expression when she saw Cinderella Castle for the first time! She was a month shy of 3, all dressed in her Cinderella gown & tiara, headed to the Magic Kingdom for breakfast at CRT. When we entered the gate and walked around Town Square to where you can see the Castle at the end of Main Street, USA, she just stared wide-eyed, jaw-dropped, and squealed, “It’s REAL!!! !” Priceless! my favorite memory is of our very first trip to WDW in 2008. My favorite memory is the first sight of Cinderella’s Castle. It brings tears to my eyes. Watching my daughter see it for the first time was an amazing memory. Taking my kids for the first time next month so I am hoping for many new magical memories! My favorite Magical Memory is opening the Animal Kingdom with my family! I also so enjoyed watching my children enter the Magic Kingdom for the first time! Last year was the first time we took our kids to WDW and realizing that my husband had never been either. They all asked me to plan our next trip before we arrived home. We had a great time. My favorite magical memory is the first time we watched a Disney parade and my son who was 3 then was waving so cutely at each character with crooked wave. We don’t have any magical memories at Disneyworld or Disneyland yet. We have never been there as a family. I would really love to take all 4 of our children there soon. My favorite Magical Memory in Walt Disney World was when we went on our honeymoon. Once we started our meet and greet, Minnie admired my ring and asked when she would be receiving hers. Mickey pretended to ignore her. Then we asked to get a photo with my husband proposing to me and Mickey doing the same to Minnie. Without even finishing my sentence, Mickey grabbed my hand and knelt down into position. My husband ended up proposing to Minnie and Mickey to me. I have the photo in our house and loved every minute we had that magical week. We also got a giant cookie from the main street bakery as a honeymoon gift. My fav magical memory is when I my son and I stayed 11 days, slpit between AKL Jambo (Kidani wasnt build yet) and POP. We had such an amazing time. My favorite Disney memory was MVMCP during our trip for our anniversary & my 40th birthday. We did a lot of meet and greets but my favorite was when the cast member opened the line at the end of the night to let us meet CInderella, Prince Charming, Lady Tremaine and the step-sisters. They were so much fun and made a huge fuss over the ring my husband got me for my birthday! It’s one of my favorite pictures along with the one of us with the Seven Dwarves! One of my favorite Disney memories, was when my family went to Disneyland last January! I had worked in Walt Disney world several times, but what makes it more special is being able to the time with my family. Seeing Disney world through my daughter’s eyes last year. Can’t wait to do it again in 26 days!! My most magical memory was seeing my daughter’s face light up the very first time we saw Cinderella’s castle! My most magical memory is seeing Cinderella’s castle for the first time. I can’t wait to see that on my daughters’ faces when we go in October! My favorite Magical Memory is our first time at the Hoop-De-Doo Musical Revue. The kids LOVED it! 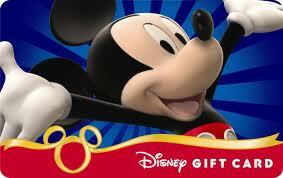 Next Post: Disney Gift Card Promotion for 2013 and 2014 travel!